Please note: Whilst visitors are welcome to network, explore our exhibitors, workshops and the LaunchPad, access to all 6 on-site conferences are only available to our Full and Startup pass holders. For the most live, up-to-date online version of the agendas please click here! If you're looking to network with press - look no further! Check out our attending press companies in the Networking App (Available on Google Play and the App Store) and set up a meeting to begin! We'll keep you in the loop with new content, event offerings and the latest industry announcements. 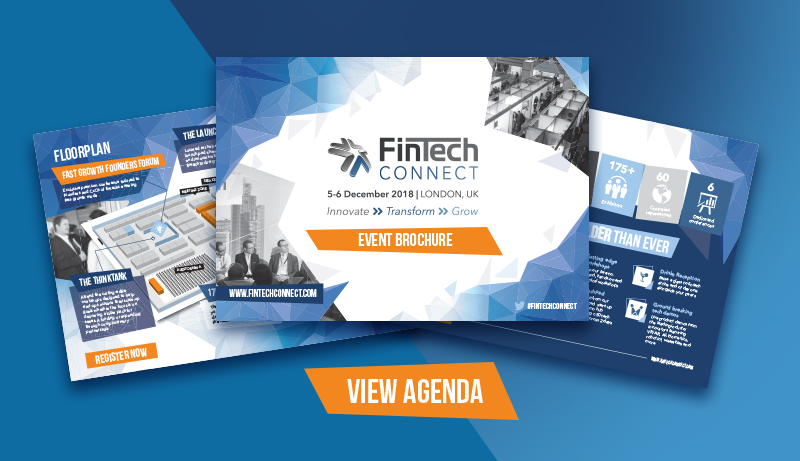 This year we've got 60+ of the best industry newcomers joining us on the LaunchPad at FinTech Connect. Fill in the form below to enquire! PayTech Connect 2019 will bring together the global payments ecosystem, from commercial payments, to best-in-class payments innovation that is driving revenues and customer satisfaction, early-adopting and market leading merchants everywhere. Taking place at FinTech Connect, RegTech and Security Connect 2019 will take a two day deep dive into the challenges and opportunities presented by this new value chain. In an increasingly volatile and disruptive global market, how are financial institutions overcoming the existential threats to modern banking? We’re offering year-round support to boost your online presence this year, with a vast range of ongoing marketing activites, including a monthly newsletter to our opted-in audience, enhanced online profiles and content, and signal-boosting social media support via Instagram, LinkedIn, Facebook and Twitter. Blockchain is now moving beyond mere talk...but only just! So, what are the early applications and use cases that are accelerating digital transformation agendas for leading FIs? What are the quick wins and what are the longer term plays? Find out at Building on Blockchain 2018. Please note: Whilst visitors are welcome to network, explore our exhibitors, workshops and the LaunchPad, access to Building on Bloockchain is only available to our Full and Startup pass holders.